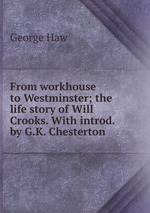 Аннотация к книге "From workhouse to Westminster; the life story of Will Crooks. With introd. by G.K. Chesterton"